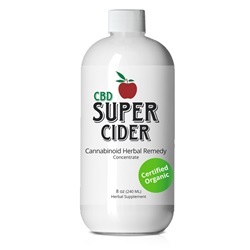 This potent cutting edge organic concentrate combines high potency Full Spectrum CBD with powerful cannabinoid herbs. It’s loaded with ingredients known to boost energy, increase a sense of deep relaxation and erase pain. You get 25 MG. pure Organic CBD in each delicious serving. 400 MG. organic, potent, full spectrum, 3rd party tested, U.S. grown CBD. In a base of therapeutic herbs and organic apple cider vinegar. 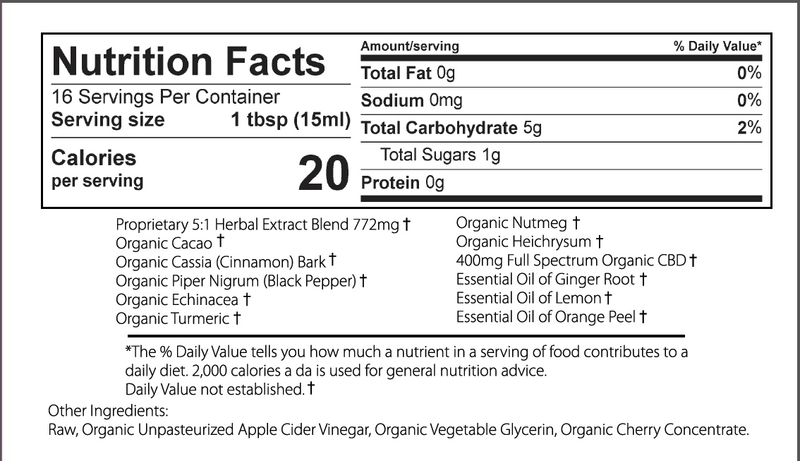 A touch of organic, nutritious cherry concentrate.